Usually projects start with a POC (Proof of Concept) and then move on to a real project using some subset of existing resources and then if the project looks exciting, senior management will want it done faster and is willing to throw more resources at it. In this article I’m looking at some of the problems this causes and some of the solutions to the problem. In the interest of Internet time, many companies are following the Lean Startup philosophy of shipping a MVP (Minimum Viable Product) early and then quickly iterating on this based on feedback from users. This has worked well for a number of companies, but it has also failed miserably as well. The big mistake is usually the Viable part of MVP and that the work to make the product viable is greatly underestimated. This approach often leads to products shipped too early which receive a black eye or lead to very major re—writes (often called refactoring) that amount to starting over from scratch. Often this just starts you on a much bigger project that you need to ramp up for. This approach also tends to do away with a project management framework which then leads to various project dependencies blowing up into major problems. Brooks’ law is a principle in software development which says that “adding manpower to a late software project makes it later.” This is from Brook’s book: The Mythical Man-Month. The corollary of Brooks’ Law is that there is an incremental person who, when added to a project, makes it take more, not less time. And generally people that have worked on large projects know who that person is. Training Time. It takes time to bring people up to speed. Even if they are experts in the technology you are using, they still need to learn your product and understand the work that went before they joined the team. This also diverts productive resources from the project to conduct this training and then extra supervision and oversight are required to ensure they are up to speed. Communications Overhead. As the number of people increases the number of possible communication channels increases dramatically. Keeping people in sync and moving in the same direction becomes a real management challenge. Another common comparison is that the way we put resources on a project is like hiring nine women and demanding that they produce one baby in one month. This might make it look like completing a large project on time or accelerating a large project are impossible. This conclusion is usually due to a number of misinterpretations of Brooks’ Law and to a number of older bad management practices. But ramping up a large project, although not impossible is still highly challenging. First Brooks’ Law applies to projects that are already late. Ramping up the project earlier certainly helps. Then there is less code already developed to learn and we don’t take away resources to babysit and to train people later in the project. Having real schedules also helps, just having a schedule with no basis in reality is a problem with the schedule not with the project. The quantity, quality and roles of the people added to the project is a major factor as well. One approach is to over hire for a project to compensate for the time taken for training and communications overhead. Adding high quality people and removing underperformers early can really help as well. Adding some roles like QA and documentation later in the project is not so harmful. Modern development practices and supporting technologies can really help as well. For instance continuous integration, agile development and test driven development all help greatly by keeping projects in a complete state. Good design patterns simplify the distribution of work, since then people know where they fit into the design framework and can do their part independently. Similarly if the project is well segregated so that small groups can work on independent parts of the project to greatly decrease the communications overhead. Another aspect is the social and political climate of a company can have a big effect. Often small companies or projects can rely on a hero to carry the project to success. This model doesn’t scale to large projects, where lots of people doing repeatable work is required. Once projects get to a certain scale, all the work needs to be de-centralized and all the work needs to be delegated. Tightly controlled organizations with a lot of control freaks are going to have problems once they scale past a certain point. A good Project Management framework within a company really helps as well. Things have progressed quite a bit since Gantt charts and if they have sufficient tools for good tracking and the power to organize dependencies, this can help greatly. 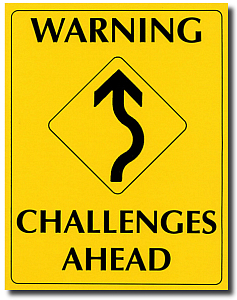 As you scale your project here are a few warning signs. Different groups doing the work differently. This indicates that the design patterns aren’t laid down properly or that people aren’t following them. This will lead to major problems quickly. Training time and individual ramp up time not being factored into the schedule. Schedules that are made around resources that are assume to be fully productive are going to slip. As people are added to a project, people need training, acclimatization and ramp up time. The schedule also has to allow for the time of trainers, mentors and supervisors of the new people. Watch out for high people turn over. If people are leaving the project or company in higher than normal problems, it usually means a project isn’t being run properly and people are unhappy working on it. Further replacing these people is expensive in recruiting, training and individual ramp up. Miscommunications. Often if a lot of communications problem are happening it means people are avoiding the communications overhead problem by not communicating and this causes lots of problems on its own. Managers and team leaders need to stay on top of this and make sure the necessary communication happens. There are a lot of new good tools for this like Wiki’s and group virtual meetings that can help. Watch out for bottlenecks. Often when you ramp up a project, one group might have been neglected and starts to be a bottleneck. Eliminating bottlenecks has to be a key role of the Project Management Organization (PMO). Especially watch out for self-imposed bottlenecks where people are taking on too much and refusing to delegate or distribute work. These sorts of practices just don’t scale. Watch out for project dependencies. The more dependencies in a project, the harder it is to manage. If the project isn’t designed to scale out independently, it isn’t going to work. Lots of dependencies between groups is a real red flag and a huge indicator that the project needs to be restructured. Many companies want to take on ambitious large scale projects. With the current demands to do things in Internet time, there are a lot pressures to really accelerate projects. 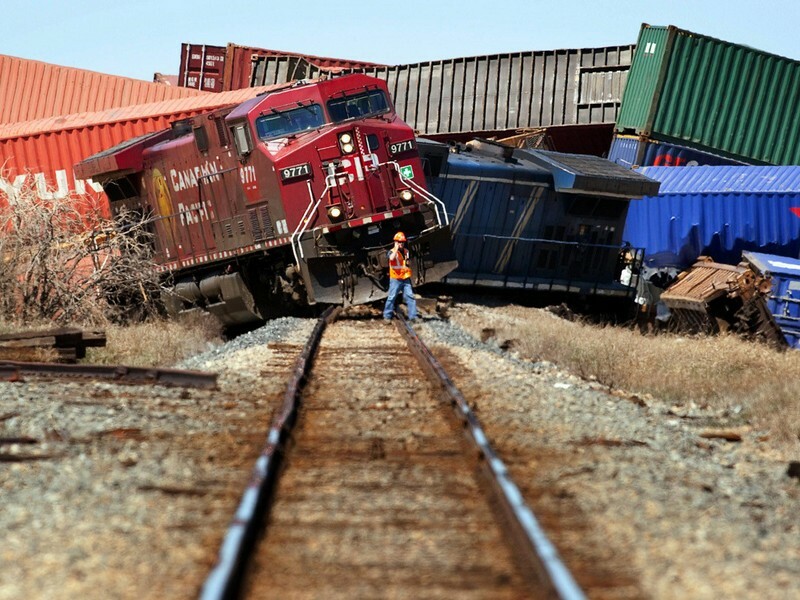 No one wants a train wreck like in the picture below, but we do have to use past experience from these to guide current projects away from the obstacles and to keep them on track. In a few previous blog posts I’ve been talking about attracting new employees whether through office design, advice for someone starting their career or corporate mobility. In this article I’ll be looking at some ideas on how to keep existing employees. Generally the value of a high tech company largely depends on the IP contained in the heads of the employees and growth prospects depend on their ability to execute. Hiring new employees is quite time consuming and a slow process. Especially in todays job market which is very hot with all the venture capital that is freely flowing right now. Is this a bubble that will shortly burst? Either way hiring is fairly slow right now. Then any new employee has to take quite a bit of time to learn your ways of doing things and to become familiar with your existing programs and systems. On the converse new employees do being new ideas, new experiences and new perspectives that greatly help an organization. Having a stream of new employees is very beneficial, but when it becomes a torrent then things get tricky. Autonomy: people want to be self-directed, they want control over what they do. 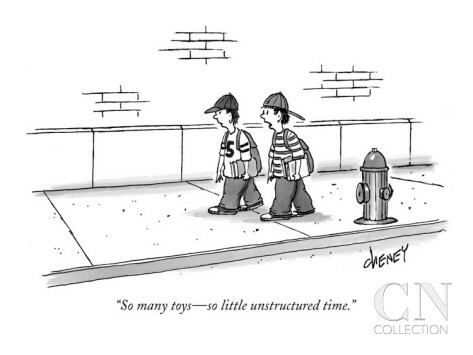 This is one of the reasons that unstructured time is so successful at so many organizations. Mastery: people want to have mastery at what they are doing. They need time to learn and practice what they are doing in order to raise their work to a higher level. Often in technical organizations, this is why frequently moving people between projects causes so much dissonance. People aren’t just cogs that do repetitive work that are all interchangeable. This is often confused with resistance to change which is something quite different. Purpose: People want to make a contribution. They want to see their work being used by happy customers. They want to see their work making other people’s lives better. Putting out poor quality products that annoy people will cause employees to want to leave an organization. Having corporate policies that violate customer’s privacy or do other semi-legal immoral corporate activities will disengage the workforce. If a company pays a competitive salary then these items will be very important in engaging and retaining employees. But there are still other factors. 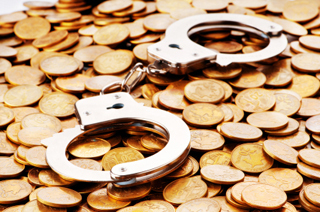 One of my favorite ways to be retained by an employer are golden handcuffs. These are benefits like stock options or future bonuses that you have to remain an employee to collect. Often these can become quite valuable making it a very difficult decision to leave. For instance stock options vest over five years and you can retain them for ten. If your company is growing and its stock is going up then these can become very valuable and walking away from them is as difficult as getting out of handcuffs. Even if you company isn’t public, having these in the hope of going public is a great retention tactic. Technical employees like programmers value challenging work where they get to use newer technologies. This keeps people interested via continuous learning and people feel secure in their profession since they know their skills are up to date. A lot of times technical people leave an organization because they feel their skills are getting dated and that it’s hard to learn and practice newer practices. When performing employee surveys, often the key answers given to the question of why people stay is that they like their co-workers and/or they like their boss. To some degree this comes down to having a very positive work environment. Ensuring everyone treats everyone else with respect and that bad behavior to other people isn’t tolerated. Another key aspect is when hiring to consider how people will fit in to the current teams and often to give team members a chance to participate in the job interview process to give their input on this. Probably the most important relationship is between an employee and his boss and this means that ensuring managers are properly trained and that you have good managers is extremely important. Having good vertical communications in an organization is critical. A lot of times when people are having problems or not fitting in, they are saying so, just no one is listening. Many times people leave due to misunderstandings or frustrations that they aren’t being heard. Having good clear communications channels is crucial. Also an organization needs to ensure that all the employees know what the corporate priorities are and also what is the reasoning behind these. People won’t be engaged if they don’t understand why a company is doing something and in fact will often act against it. Another good practice is to have good coaching and mentoring programs within the organization. These can really help with communications and employee development. On the converse, you don’t want to retain people at any cost. If people aren’t performing, aren’t engaged or exhibit bad behavior, don’t reward them. Often company’s give out bonus’s anyway because they are worried about losing the employee. But I think in some cases it’s better for everyone if the employee finds a different opportunity. You especially don’t want to do this year after year or people just won’t have confidence in your rewards system. Retaining employees doesn’t have to be hard. Generally employees are motivated by things that are also good for the company like pursuing innovation, pursuing learning and staying up to date. Generally a healthy happy workforce is also a productive workforce, so many of these items are in everyone’s interest. When companies lose sight of this, they get themselves into trouble. My wife, Cathalynn, and I were recently discussing issues with people moving to other cities to pursue their careers and the hard decisions that were involved in doing this. My nephew, Ian Smith, is just starting his career and when choosing where to work has to consider what it takes to grow in the role he eventually accepts. When I started at Computer Associates, if you wanted to move up in the organization past a certain point, then you had to move to the company headquarters in New York. Similarly, when Cathalynn was working at Motorola, the upwardly mobile had to relocate to Schaumburg, Illinois. 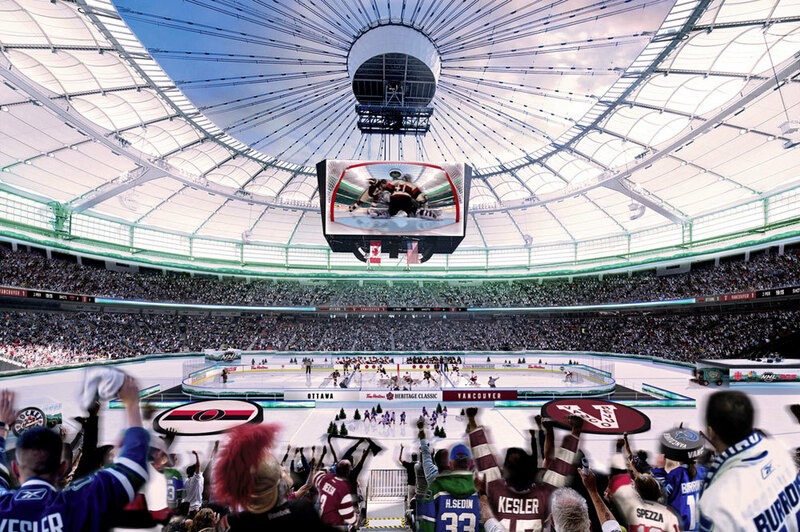 Recently, Vancouver hosted a Heritage Classic hockey game at BC Place as have many cities across Canada. An outdoor rink facsimile was made inside an indoor venue to recreate a 1915 game complete with original uniforms and “snow”. The plan was to retract the ceiling on the dome but a torrential downpour kept the giant umbrella deployed. Despite the nostalgia of the game the Vancouver Canucks and Ottawa Senators were playing for real—this game counted for NHL points, so the integrity of the ice had to be maintained. We’ve all heard of the glass ceiling. Indeed, yesterday (March 8th) it was International Women’s Day—a day to reflect on all aspects of women’s’ equality and well-being. In the corporate world, how are we doing? According to Catalyst only 4.6% of Fortune 1000 companies have women CEOs (http://www.catalyst.org/knowledge/women-ceos-fortune-1000). We’ve all heard of hitting the glass ceiling, however; living on the West Coast working in the high technology sector we have what I call an umbrella ceiling that applies to both genders. 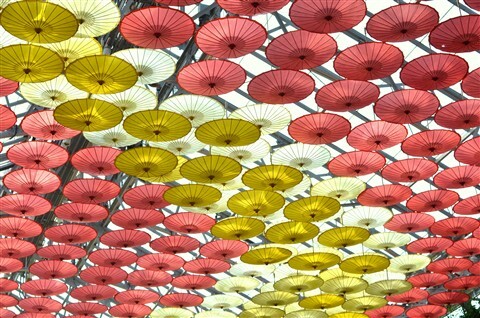 Umbrella in the down or sun position–you are blessed with a lifestyle that promotes health and well-being with a year-round outdoor playground and cultural diversity. 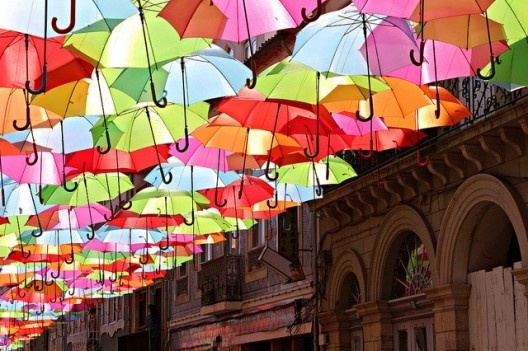 Umbrella in the up or rain position—you are blocked from moving on to a top job within any corporation that has a head office outside of British Columbia you have to leave. We’ve been to many a tearful going away party. But then if you stay as the Smiths have where are roots and family are, you many spend your weekends hiking, snowboarding, cycling, gardening, wine-tasting, cross-border shopping to Seattle and in many other wonderful pursuits, so that’s cool too. Does it have to continue to be this way? With all the technology like Skype, other teleconferencing software, cloud applications, mobile phones, portals, access to travel and other collaborative tools that are available why do corporations still tend to centralize top officers in one location? Or, can companies truly embrace the mobile workforce including more females at the CEO level. Are they missing out on or losing top talent for this-is-the-way-we’ve-always-done-itism? I’m turning this over to the expert, Mr. Steve himself. Cat out. A lot of discussion comes down to how important is face-to-face interaction. How much can be done virtually via Skype, e-mail, telepresence, chat and other collaborative technologies? My own experience is that there are a lot of communication problems that can easily be cleared up face-to-face. Often without direct interaction, misunderstandings multiply and don’t get resolved. Probably the worst for this is e-mail. Generally, programmers don’t like to talk on the phone and so will persist with e-mail threads that lead nowhere for far too long rather than just picking up the phone and resolving the issue. But with video calls so routine can much be handled this way instead and physical meetings kept to a minimum? Another thing that limits interactions is living in different time zones and how much time you have to interact. For example, I have days bookended by early morning and late evening conference calls. Generally, office design has improved over the years as well to better facilitate team work and collaboration. If you aren’t in this environment are you as productive as the people that are? A recent high profile case of this was Tim Bray who worked at Google but lives in Vancouver. He gave a quick synopsis on his blog here. Google has a reputation as a modern web cloud company, and yet here is a case where having someone physically present is the most important qualification for the job. If Google can’t solve this problem, does anyone else have a chance? Though personally it seems that Tim accepted the position at Google with the assumption of moving to California, so it seems a bit passive aggressive, then staying in Vancouver and just pretending he would move. The ultimate metric of all this is how mobile is the CEO of a company. Does the CEO have to physically be present in the corporate headquarters for a significant percentage of their time? Does the CEO have to have a residence in the same city as the corporate headquarters? Is even the idea of a physical corporate headquarters relevant anymore in today’s world? Many top executives spend an awful lot of their time on airplanes and in hotels. To some degree does it really matter where they live? After for modern global companies often to have the necessary face to face time with all the right people can’t be done from the corner office. Is the life of an executive similar to the life of George Clooney in Up in the Air? I think if the CEO is in a fixed location then the upwardly mobile are going to be attracted to that location like moths to a flame. I think there is a strong fear in people of being out of the loop and for executives this can be quite career limiting. I tend to think that face-to-face interaction and working together physically as a team has a lot of merit. Just breaking down the barriers to communications in this sort of tight knit environment can still be challenging. I find that working remotely works very well for some people. But these people have to be strongly self-motivated and have to be able to work without nearly as much direct supervision or oversight. I’m finding that the tools for communicating remotely are getting better and better and that this does then allow more people to work remotely, but at this point anyway, we can’t go 100% down this road. If you have any thoughts on this, leave a comment at the end of the article.